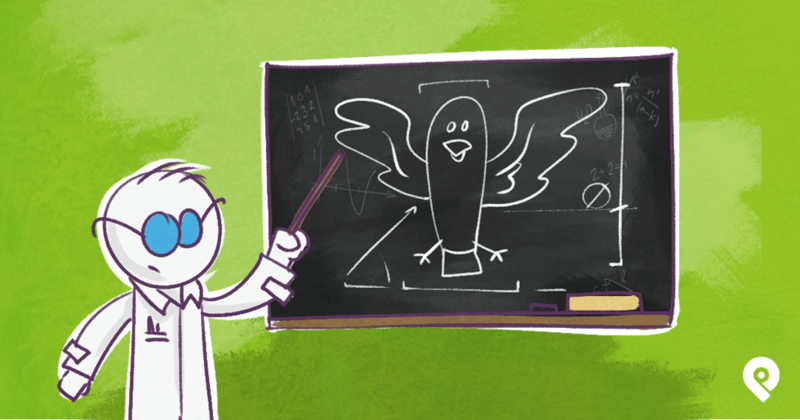 Are you ready to create the perfect Twitter marketing strategy? Do you want to make sure you're engaging with the right people? It can be a daunting task. Busy marketers don't have time to sit around and handpick people to add to their Twitter lists. Wouldn't it be nice if that process was somehow automated? Maybe you're using Twitter advertising to reach your target audience. 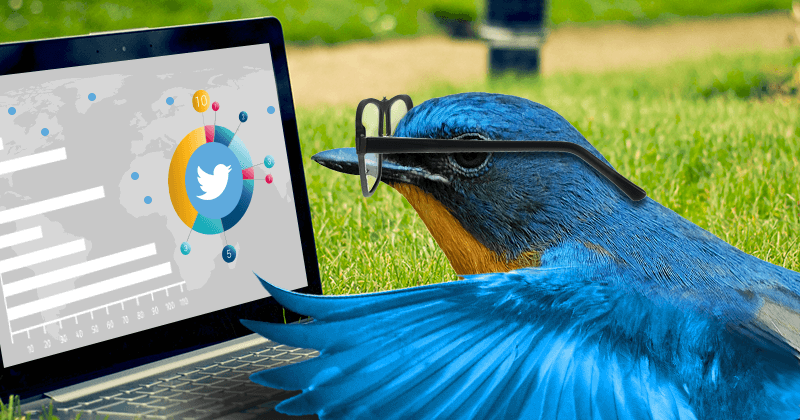 Do you want to create a tailored Twitter advertising audience? It would be nice to reach specific people based on more than who they follow and what they're interested in. 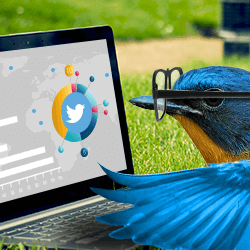 In this post, I'll show you how you can use SocialBro to segment your Twitter audience. You can use this data to find the people you should be connecting with. 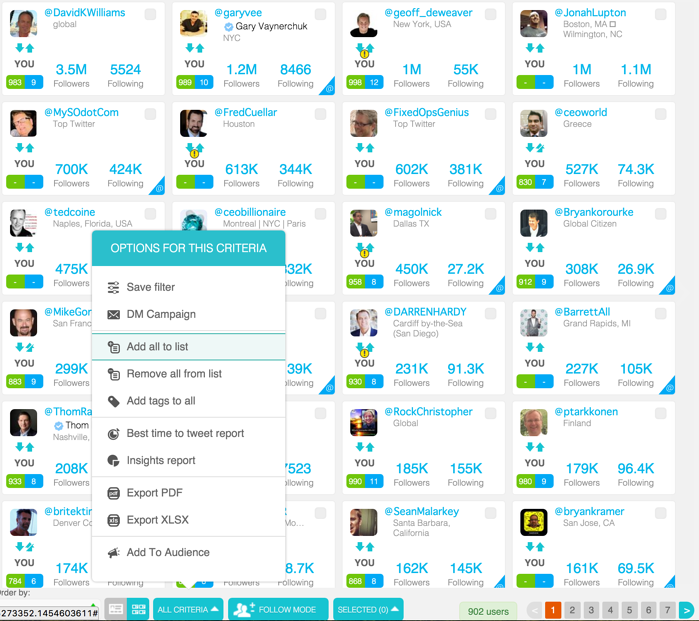 You'll be able to create targeted audience segments for your specific Twitter goals. In doing this, you'll create your own perfect Twitter marketing strategy. And you'll have people chomping at the bit to read your tweets. 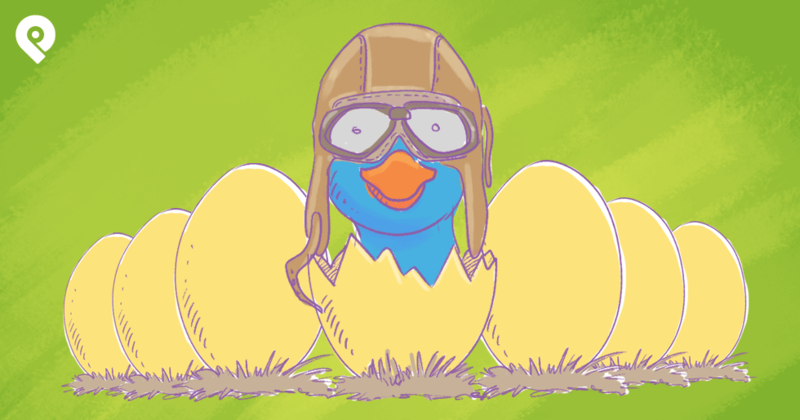 Before you get into segmentation -- you should start by analyzing your Twitter account. You want to be sure you're on the right path to begin with. Start by creating a SocialBro account and connecting it to your Twitter profile. Then you can click on your Twitter profile photo from your dashboard. 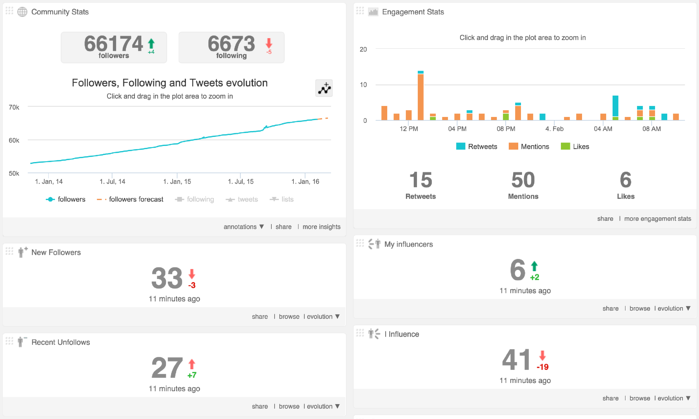 This will take you to an overview of your account's analytics. At the bottom of the page -- you'll also find a useful tag cloud that shows the common keywords in profiles of those you follow and those who follow you. Once you've browsed the overview of your analytics, you can visit the Analytics tab to get even deeper insights. 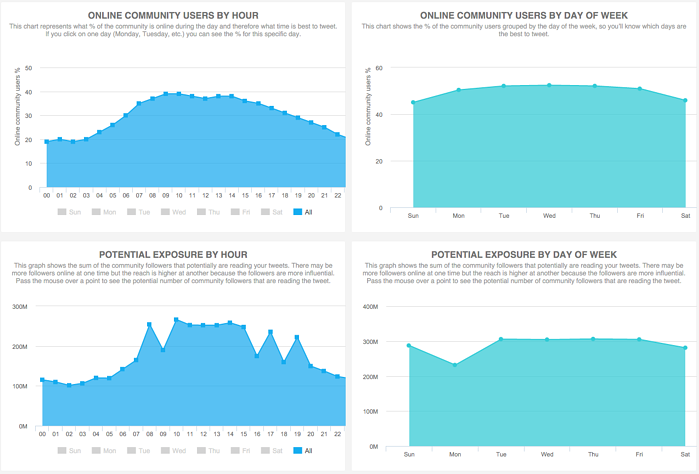 These reports will show you more in-depth data about your community. 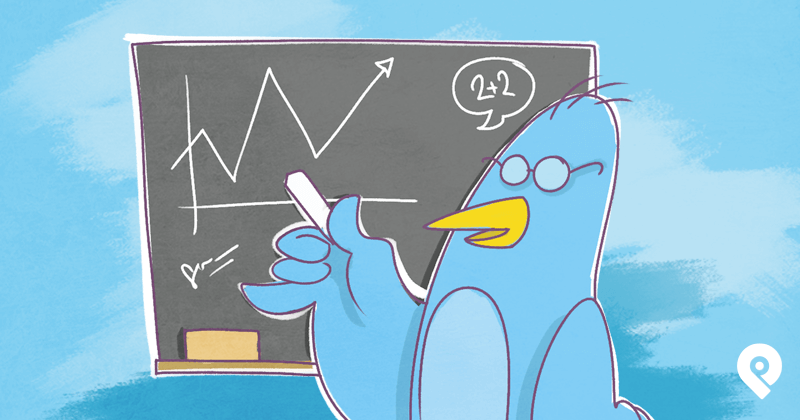 Use this data to create the perfect Twitter marketing strategy for your business. In particular, check out the best time to tweet option. This will show you the best times to tweet to reach your top 5,000 followers. You can take the data from this report and put it into your Post Planner plan for your Twitter account. This will ensure you're tweeting the best content at the times when you'll get the most exposure from your biggest followers. 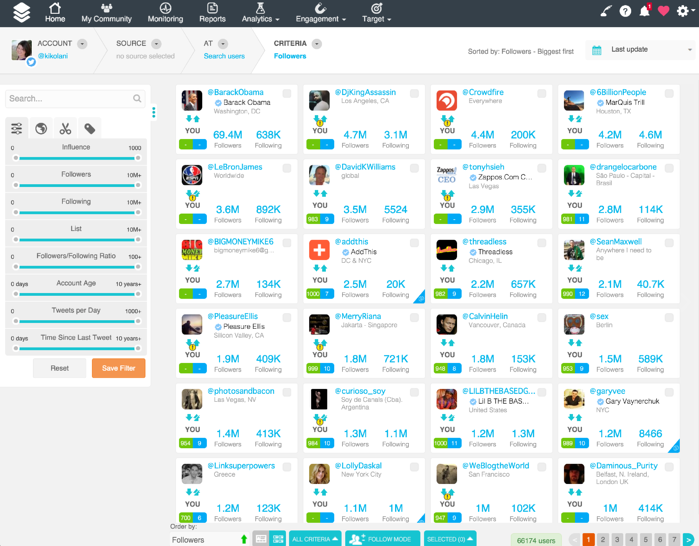 SocialBro also gives you insight into the current topics talked about most by your top 5,000 followers. 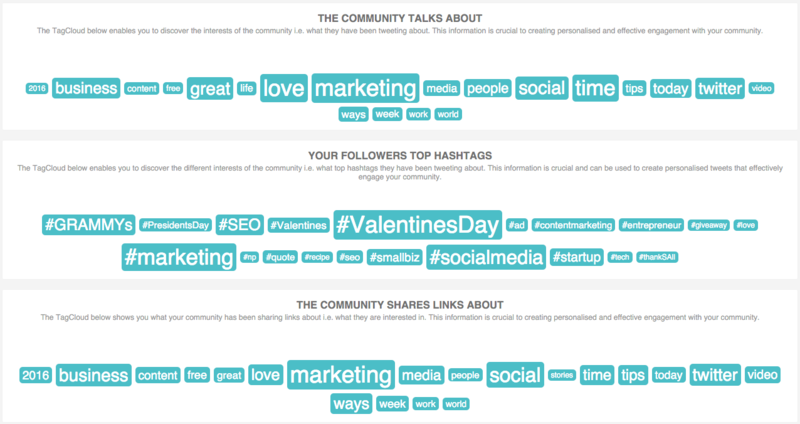 At the top of your dashboard, you can click on the My Community tab to see more info about your audience. If you use the dropdown under Criteria, you can narrow the view to specific people (such as those following your Twitter account). 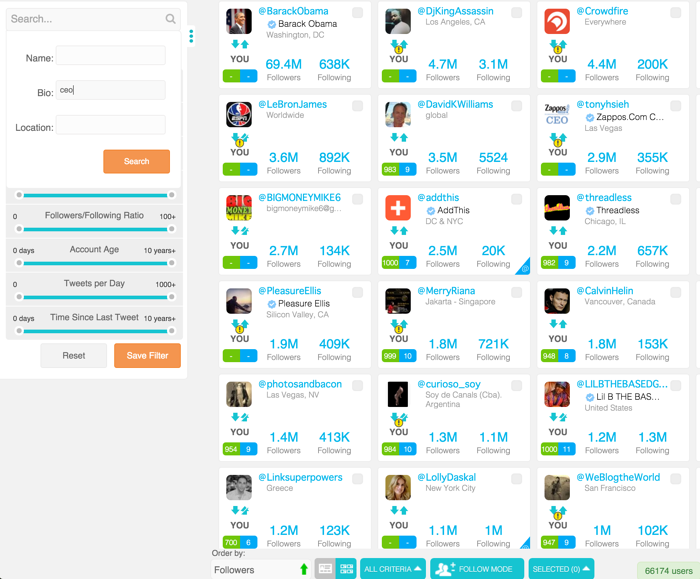 By default, this will show you your followers in order of the ones with the largest audience. Take a moment to go through this list of people. See who is following you and who you may or may not be following back. If you see two blue solid arrows, it's a reciprocal following (you follow them too). If you see the arrow on the right is broken, then you do not follow them. Depending on who they are, you might want to consider whether you should follow them. A lot may depend on their follower/following ratio. If someone is followed by a million people and follows a million people, then you may not be anything special to them. If someone is followed by a million people and they only follow 1,000 -- then they probably had a good reason to follow you. You should take that as a compliment if they are in the right niche or industry. Users where you see a warning icon vary. It usually means one of you unfollowed the other at some point, but then followed back again. Usually it's nothing to be concerned about. From the followers view in My Community, you have several options. Using the search and filters in the left sidebar, you can refine your audience by specific criteria. For example, let's say that you wanted to create a Twitter list of your followers who are CEOs. You could use the search box to filter your followers by those with CEO in their bio. 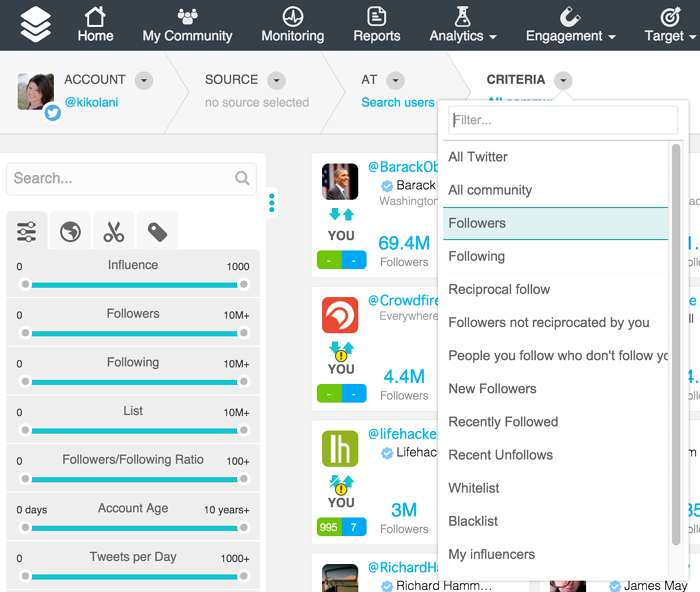 At the bottom -- use the All Criteria tab to take the filtered results and add them all to a Twitter list. Depending on the number of results, your list could be created in a matter of minutes. It's not a list only accessible in the software. You'll also be able to see it on your profile with the rest of your Twitter lists. If you set it to public, anyone who visits your profile will see it as well. You can click on the list and start engaging with the specific group of people you have segmented. Start building stronger relationships with them. These relationships will hopefully result in the achievement of specific business goals. Or if you are a content marketer, specific content goals. Relationship building is an integral part of any perfect Twitter marketing strategy. Even most of the Top Brands on Twitter build relationships with their followers. The point is, segment specific audiences for specific purposes. They could be potential customers, potential content sharers, potential inspirations, potential mentors, etc. You can also use it to create content. If you like to create lists, segment specific audiences for your lists. Create the next Top 100 Foodie Bloggers You Should Follow on Twitter. Or, the Top 100 Doctors in Los Angeles You Should Follow on Twitter. The possibilities of Twitter lists for ego-bait are endless. Now that you've created your Twitter list of CEOs that follow you, you'll want to continue to update that list when new CEOs follow you. 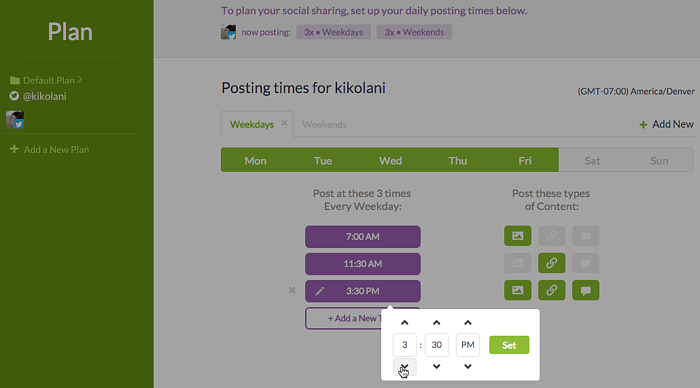 To do this, you'll need to create a new rule using the Rule Builder under the Engagement tab. They will be added to your CEOs Twitter list. Your Twitter list will now be automatically updated with new CEOs who follow you on Twitter. Note that you can also configure additional options. For example, have an email sent to you when a new CEO follows you. Then you can reach out to him or her personally as opposed to sending an automated direct message or tweet. If you offer a free Twitter guide for CEOs -- that could be a relevant and welcomed piece of content to send in an automated direct message. Just know that many consider automated direct messages as spam -- so consider it carefully. 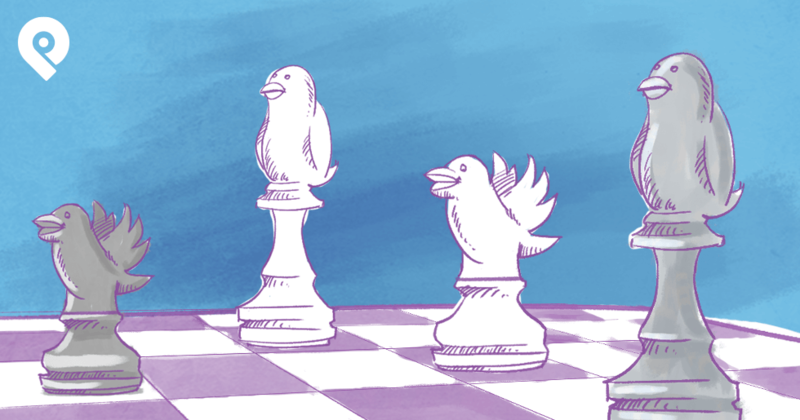 It could be the frosting on your perfect Twitter marketing strategy or the demise of it. You don't trust the built-in targeting system that the Twitter Ads platform has to offer? 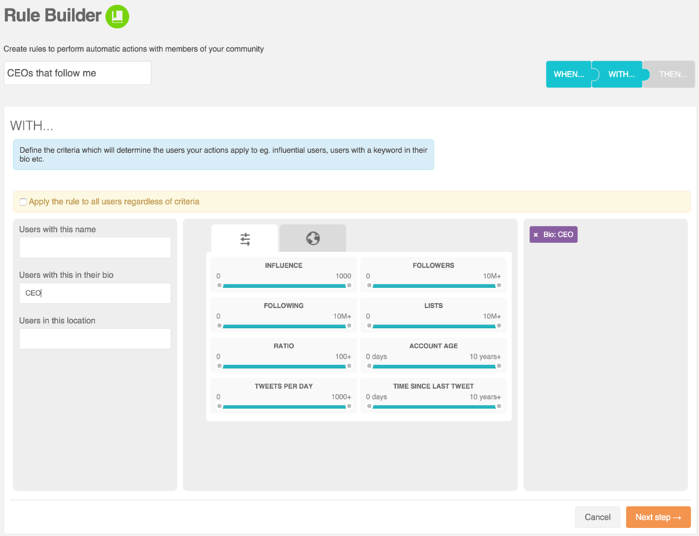 You can take a more manual approach to creating tailored audiences through SocialBro. Do this by going to the Target tab and selecting Discover new Twitter users. 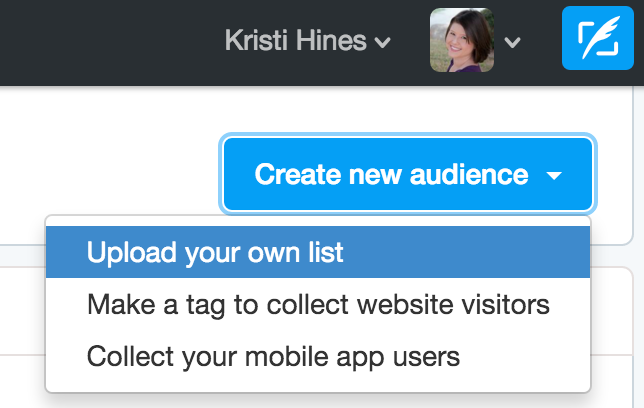 Next, use the search boxes and filters to find the exact audience you want to reach. Your audience must be larger than 500 users in order to create a tailored audience for Twitter Ads. If you're getting narrow, you may need to merge a couple of audience segments together. Once you've narrowed down your results -- use the All Criteria tab at the bottom to export your results to XLSX. 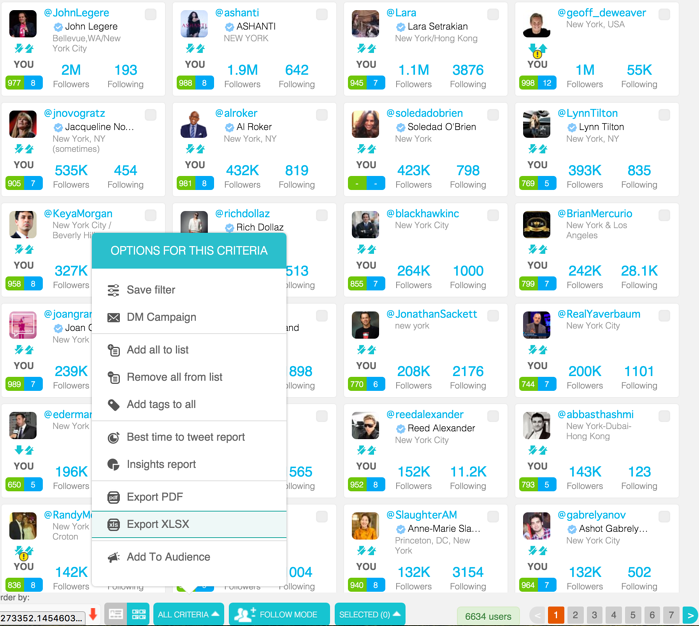 In your Twitter Ads dashboard, find the Audience Manager under Tools. Choose to upload your own list. 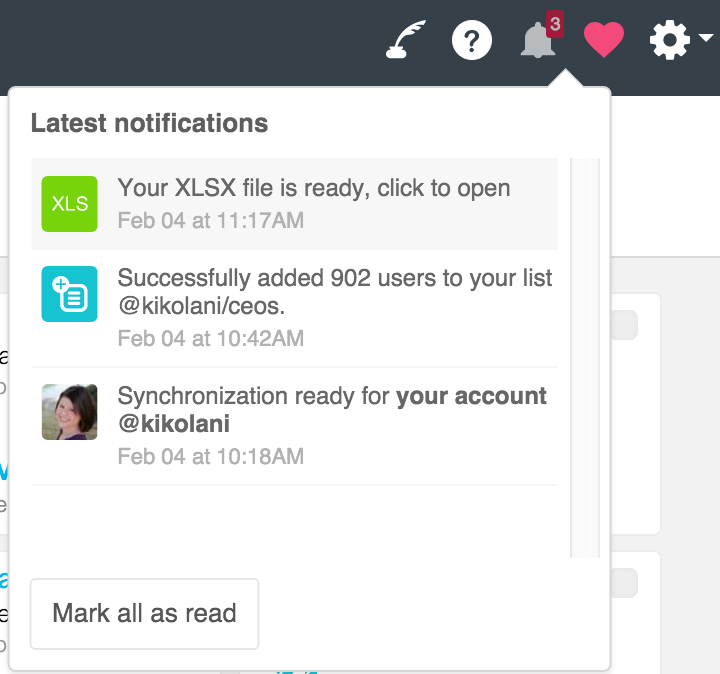 Check your SocialBro notifications to find your XLSX. 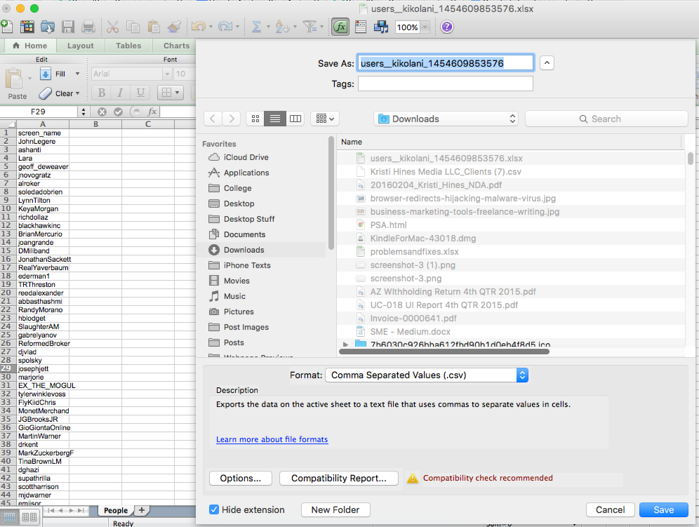 Delete all the columns except for the screen_name column and save the XLSX as a CSV file. 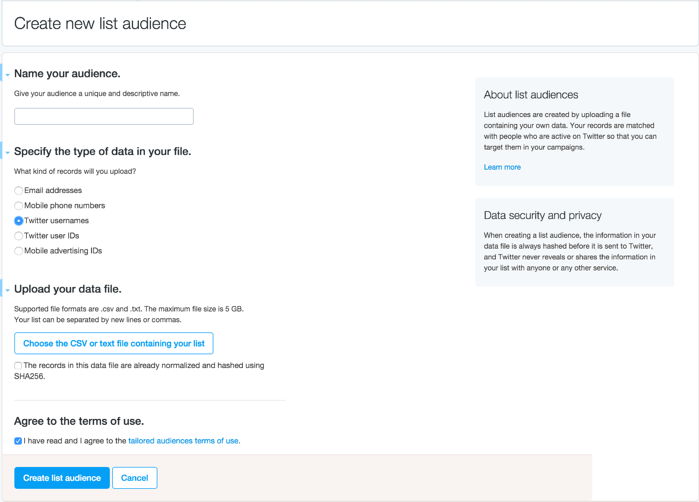 Configure your tailored audience details in Twitter Ads and upload your new CSV file. Once Twitter is finished processing your list, you'll receive an email to let you know it's ready to be used in advertising. In addition to using the search for discovering Twitter users for your ad audience -- use this option to analyze a third party account under the Target tab. You can use this data to find users to target within another Twitter user's community. For example, a wedding photographer could add @TheKnot as a third party account. They could then filter their followers by location. Then add only the followers of @TheKnot that live in their area to a tailored list to target Twitter ads for their services. 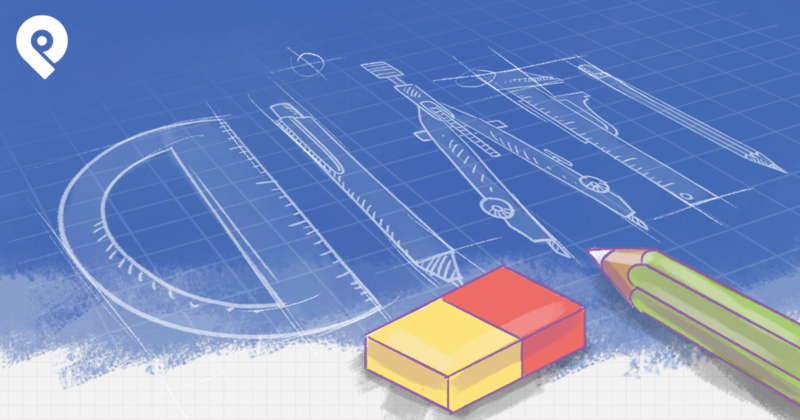 You can use this approach to create highly customized tailored audiences for your Twitter Ads. Why is this more powerful than the audience targeting options on Twitter? 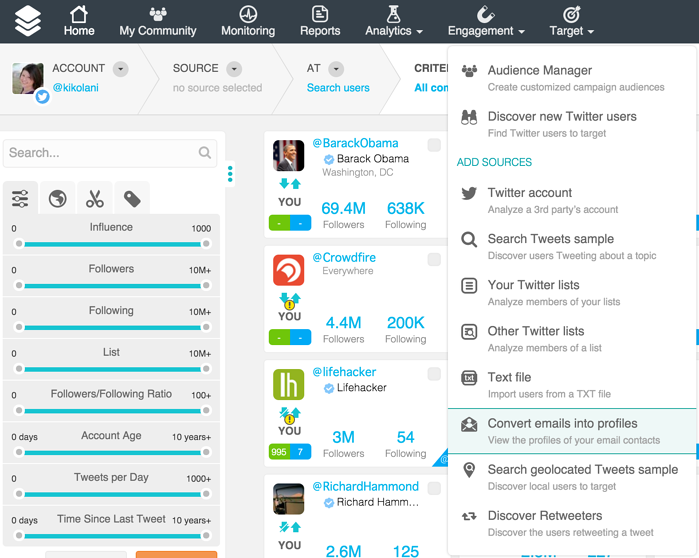 Because now you're able to hand pick your Twitter ad audience. You can add Twitter usernames to the list to be certain they're in your tailored ad audience. You can also remove usernames that came up in search results to be certain they're excluded from your tailored ad audience. In other words, you have 100% control. And it's not like uploading an email address or phone number that may or may not match up to a Twitter account. You're uploading Twitter usernames. There is a match to every account you added to your list. 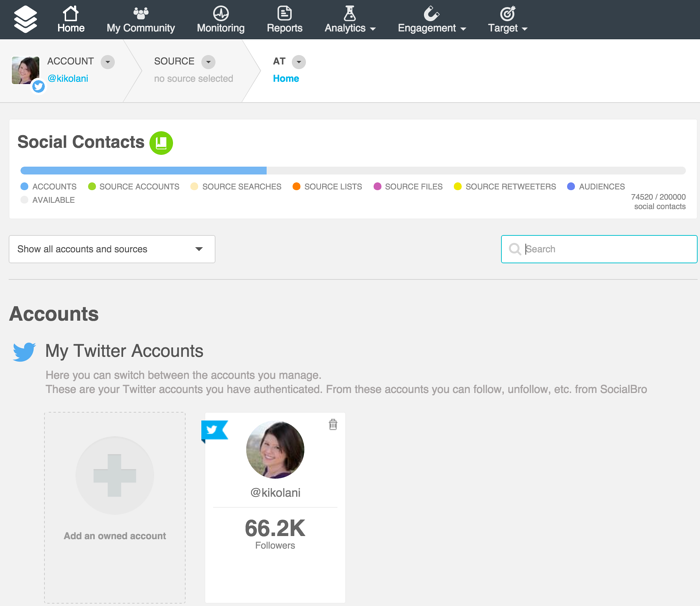 One of the best features SocialBro has to offer is the ability to convert email addresses into Twitter profiles. 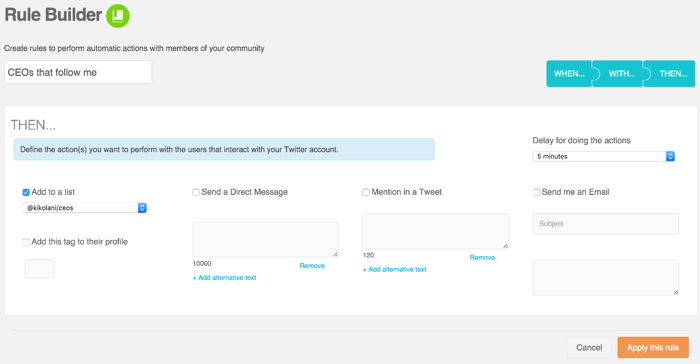 You can use this feature to find people on your customer database or email list on Twitter. Then add them to a Twitter list and engage with them on a regular basis. 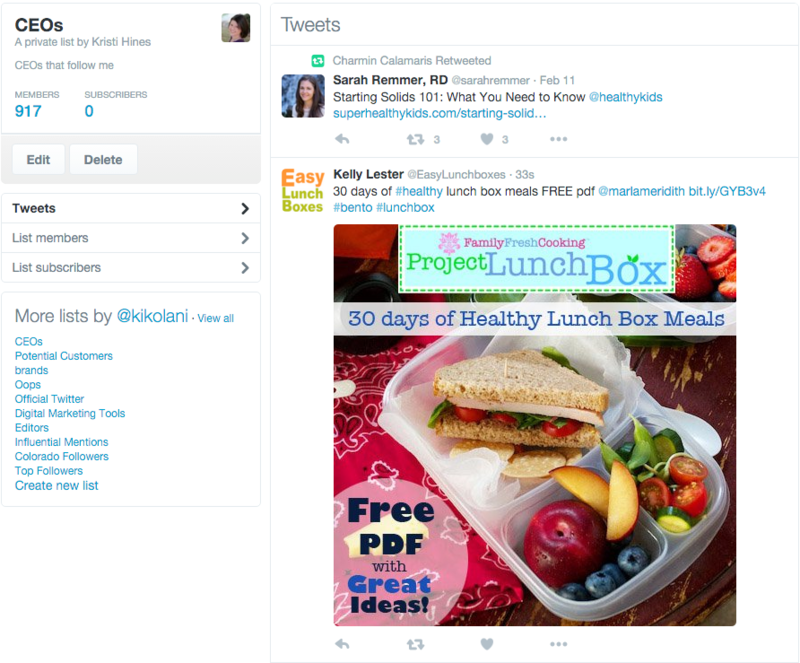 To do this, find the Convert Emails into Twitter Profiles option under the Target tab. Export your email list from your CRM, email marketing software, ecommerce software, or other platform. Then import it into SocialBro. Based on your type of plan and allotted number of emails, you'll only be charged for the emails that SocialBro is able to match to Twitter profiles. If you upload 1,000 and you only get 100 Twitter accounts matched -- you only used 100 of your email conversions. Once SocialBro has matched the emails to Twitter accounts, take those Twitter accounts and add them to a Twitter list for engagement purposes. From here, you'll need to regularly update this list by importing your new customer email addresses. The point of this activity is to convert subscribers into customers (customer acquisition) and to keep current customers engaged (customer retention). Both will positively affect your business's bottom line. While these are not the only great features SocialBro has to offer when it comes to Twitter (and now Instagram) analytics, they're the ones I find most useful in my Twitter activities. Would you like to grow your followers as you're creating the perfect Twitter marketing strategy? If so, grab your copy of our free infographic below. You'll instantly get your hands on 42 things to share on Twitter to get more followers. These are creative tweets you can start using TODAY to strengthen your Twitter presence even more!